Last week, we began our new “Color Inspiration” series, highlighting the Pantone Color Institute’s guide to fall and winter hues. 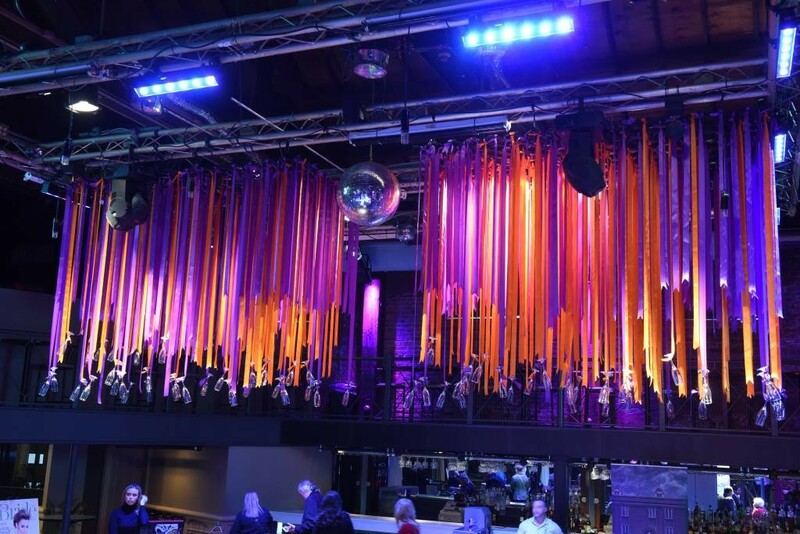 The collection includes some bold hues and, according to Pantone vice president Laurie Pressman, expresses the need for individuality, ingenuity and creativity. Looking a little deeper into the collection, there are a few standouts for us. 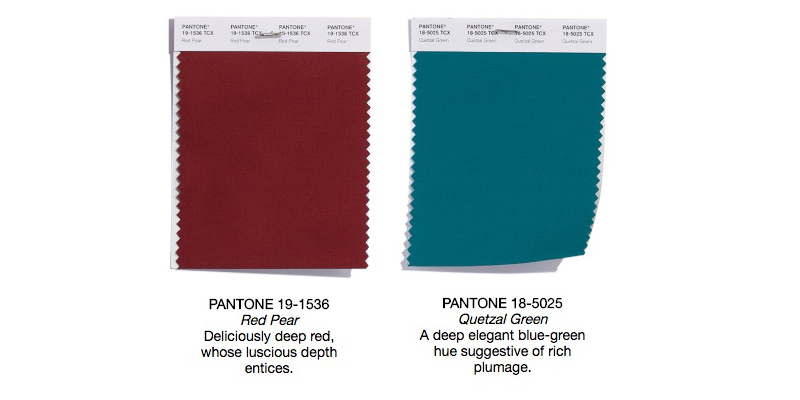 Two hues that scream typical autumn colors include “Red Pear” and “Quetzal Green.” The red has similar notes to former Pantone Color of the Year Marsala. Pantone describes the hue as “deliciously deep red, whose luscious depth entices.” We completely agree. Lipstick shades tend to lean in this direction for fall/winter, as well as nail polish colors and fashion accessories like scarves, coats and even boots. Our other traditional stand out is the gorgeous deep-blue/green “Quetzal Green.” Pantone describes this hue as “a deep elegant blue-green hue suggestive of rich plumage.” We see a lot of home décor leaning in this direction, which makes it a perfect choice for reception furniture and table décor like napkins, table runners or placemats.